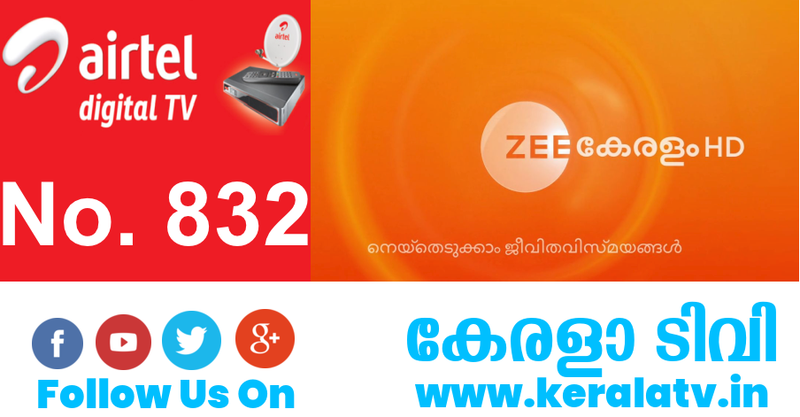 Most awaited malayalam channel zee keralam added to the dth service Airtel digital tv at epg number 832. Flowers tv moved from LCN# 832 and Zee Network’s Malayalam GEC Placed to that slot. It will be very soon through videocon d2h and other leading dth platforms, 607 will be the epg number of zee keralam at videocon d2h. Now naaptol malayalam repeat showing on that slot. Both Stand definition and high definition channels of zee malayalam launching on the same day. 26th November is the launch date and will be available through dish tv, tata sky, sun direct ,zing digital etc.